On Wed Nov 29 1400 UTC Learning2gether arranged to meet with Shelly Terrell to talk about her new book, Hacking Digital Learning Strategies, which she presented in the context of how her newborn daughter will be raised in a digital world, with so many implications for how she and other teachers can engage their students in the different world that most of us find ourselves in, and that others are even now just entering. Shelly is a founder of Twitter’s #Edchat. She’s an international speaker, elearning and digital learning specialist and the author of The 30 Goals Challenge for Teachers: Small Steps to Transform Your Teaching, Learning to Go: Lesson Ideas for Teaching with Mobile Devices, Cell Phones and BYOT, and Hacking Digital Learning Strategies: 10 Ways to Launch EdTech Missions in Your Classroom. She has trained teachers and taught learners in over 20 countries as an invited guest expert by organizations, like UNESCO Bangkok, the Venezuelan-US Embassy, Cultura Iglesa of Brazil, the British Council in Tel Aviv, IATEFL Slovenia, EduTECH Australia, and HUPE Croatia. Participants were informed that Vance was attempting to stream the event live on https://www.youtube.com/user/vancestev/ but that bandwidth issues caused the stream to be broadcast in spurts and to cut out frequently during streaming. YouTube recorded what it got until the stream stopped and put what it had up to that point in the can. The stream continued intermittently and would have been visible to viewers, but only 7 minutes were recorded until the stream stopped the first time. The video of that is unlisted and will be replaced when I am able to grab a full version from the Bb Collaborate recording. 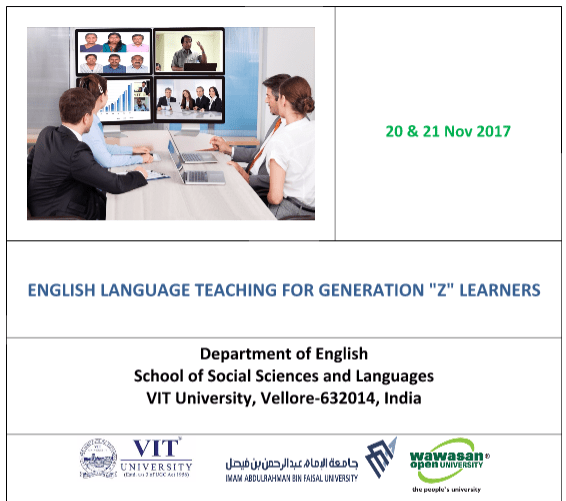 On Tuesday Nov 21 at 1130 UTC Vance Stevens attempted a plenary on Flipping the flip: Organizing students around a wiki and training colleagues to do likewise at the Nov 20-21 – ELT for Generation Z Learners – Virtual Conference. On November 26, I used OBS (Open Broadcasting Software) to record a second version (shown above) to replace the first due to issues with bandwidth over HoA. There were just two slides in the original presentation, which I had titled Flipping Classes using Wikis, but on reflection, changed to Flipping Learning using Wikis. I do use wikis in every class I teach these days to give students a portal they can go to and see what we did in every class, in case they missed the class or were distracted at some point. Often my wikis point to work the students can do in or out of class, as you can see for yourself at my current classes portal: http://vancesclass.pbworks.com. 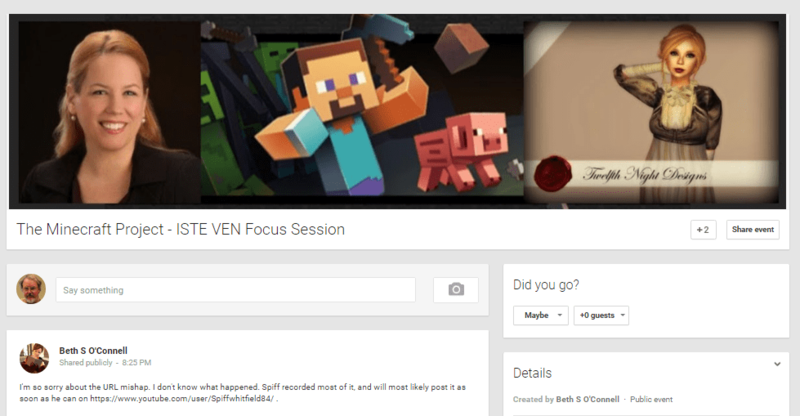 But the wikis I introduced in this presentation were not necessarily organized around classes. Rather they are meant for use in online environments either as tutorials or repositories of resources. Therefore they come more under the heading of flipped learning than flipped classroom. I made links at Time and Date dot com, as I usually do when staging these events, showing when the event would start, and giving a countdown to the event. The conference organizers were holding their event in Skype. I wanted to show them my wikis and could not visualize how I could do that in Skype, so I suggested I set up a HoA for them. In theory I should have been able to join the session from two computers, share the screen from the second computer to the first, and broadcast the HoA from the first computer. In practice, technology did not allow this to happen as seamlessly as planned. The video came out awful. I was monitoring what I thought it was broadcasting on computer #1 where I started the session. Perhaps because I was logged in at the same acct at computer no. 2 when I started the broadcast, YouTube might have been confused about which computer to record. I’ll bet that’s what happened (next time bring the second computer into the HoA AFTER starting the b/cast, so I am sure to get the broadcast through the VPN connected computer). The technician in India also complained of garbled sound from me in as heard in India. Computer #1 was running under a VPN and should have produced crisp sound, but #2 was running over the regular internet where packets from HoA are not delivered faithfully. The audio on the recording is ok (not garbled) and the screenshare shows intermittently, but I didn’t get any video. Again that indicates that it was recording video from the computer not on the VPN. Since only my avatar showed there, but the video was in fact on and was visible on computer #1 which was supposed to have been doing the recording. Since the video from computer #2 was showing on computer #1, it indicates the video was not transmitting from #2 due to some blockage of HoA. More indication of that was when they finally called me on Skype in India, which I connected through the non-VPN computer #2, and they got audio and video I believe. But computer #2 was running video through HoA (not needed since it was screen sharing, I could have turned that off). So all of that was degrading the quality of audio from me. It’s always good to test these things beforehand but all the sessions in India both days were taking place when I was at work, and Skype is blocked at my school. I tried connecting to their conference through a hot spot from my phone and got connected to one Skype presentation, but audio was not at all clear to me, and the calls dropped. So it was a learning experience that didn’t work out well as a presentation. The video at least has clear audio of me trying to describe these projects, but the screen share from computer #2 had severe lag so more often than not, I am talking about what I’m doing on the my screenshare before the images actually get sent to the HoA several dozen seconds later. Six days later, I recorded the replacement video you can see here, https://youtu.be/0iaWFYSxdU4, and at the head of this article. The only link the organizers had given for the conference was VIRTUAL CONFERENCE VIT UNIVERSITY on Skype. 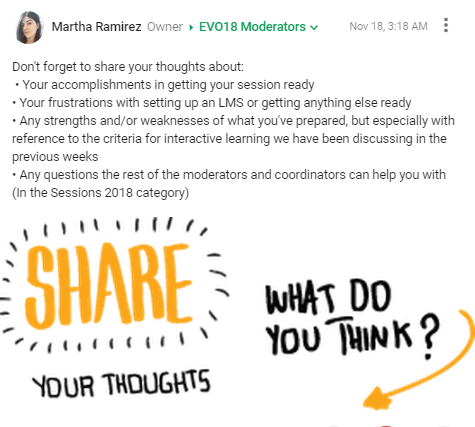 On Sunday, November 19, EVO coordinators Ayat Tawel and Martha Ramirez hosted the final live event in the October-November 2017 iteration of the 5-week EVO2018 Moderator Training. Ayat started and managed the Hangout on Air and both ladies put on a great performance modeling how an EVO session live event can be successfully facilitated, especially eliciting participant interaction through Poll Everywhere. 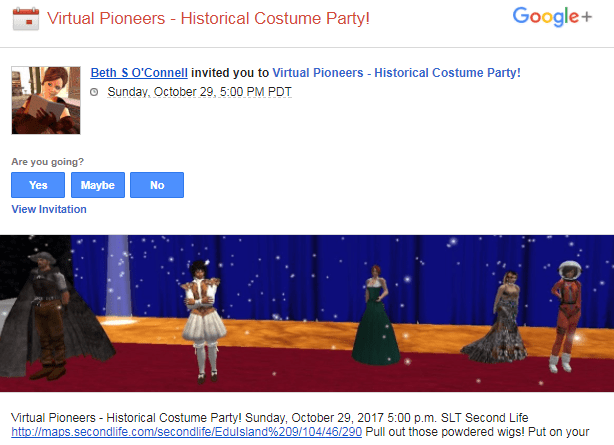 While watching the stream, participants could come to the chat space http://chatwing.com/vancestev to interact with us, or join us live by going to the direct link to the HoA which we posted to our online spaces. Many did that; the HoA was full for most of the time. The Global Education Conference (GEC) is a collaborative and world-wide community convening designed to increase opportunities for globally-connecting educators and programs significantly. It is free to attend and takes place entirely online. Our primary event seeks to present ideas, examples, and projects related to connecting educators and classrooms with a strong emphasis on promoting global awareness, fostering global competency, and inspiring action towards solving real-world problems. Through this conference, attendees will challenge themselves and others to become more active citizens of the world. 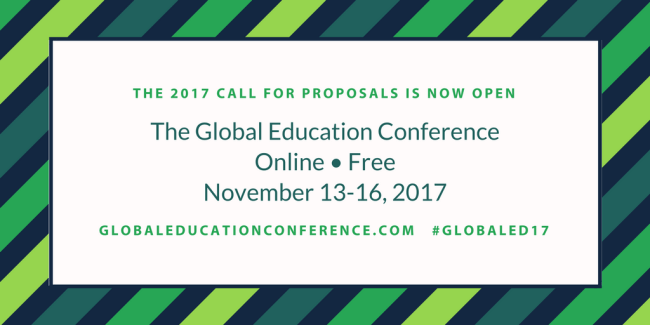 The Global Education Conference welcomes participants from all over the world and encourages submissions in any language. We provide training on the conference platform, Blackboard Collaborate, and advocate for presenters to take ownership of the presentation process when scheduling and promoting their sessions. We seek to elevate and empower presenters to share their knowledge with a global audience. This year, we have added new strands for the conference to expand our offerings. The new strands are the UN’s SDGs, Study Abroad and Exchange Programs, and Higher Education. 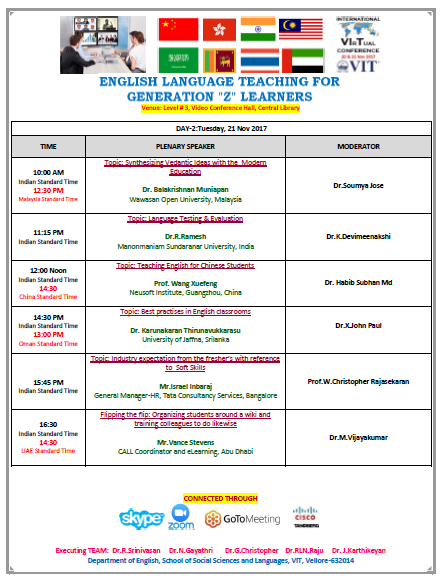 Below are the session titles and presenters for our 127 currently-accepted general sessions, and more of these are coming as well! Free research-based educational material from Finland – Marianne Juntunen, Ph. D.
Secrets to Successful Global Collaboration in Higher Education – Leigh Zeitz, Ph.D., David Stoloff, Ph.D.
We are currently seeking support for our work so that we can keep our events free or low cost. If you believe in the power of globally connected teaching and learning and would like to connect with our community, please contact Steve Hargadon at hargadon@gmail.com to discuss partnership opportunities. Your feedback is important to us. We would like to improve our resources and level of service to the GEC community. Please take this online survey when you have a moment. “Intentional Learning Centers: Making the Most of Station Rotation” with Brittany MillerWe are really looking forward to hearing from our special guest presenter, Brittany Miller, who is a Digital Learning Coach in Raleigh, North Carolina at the Friday Institute for Educational Innovation. Brittany is passionate about supporting teachers with the use of digital learning in their classrooms. She believes that in order to inspire teachers to rethink their roles in the classroom, and to build their capacity for student-centered learning, we have to first shake up the way we are teaching them! She will be sharing some of the strategies she recommends in her work with teachers. One of the most popular Blended Learning Models is Station Rotation. In this session, we will be sharing how to intentionally plan and organize stations that engage students, minimize distractions, and enable the teacher to facilitate and meet individual student needs..
Brittany’s philosophy is that if we want student-centered, personalized learning in our classrooms, we must first engage teachers in the types of experiences and environments that show them how. This mindset drives her work at the Friday Institute for Educational Innovation which is the research arm of the College of Education at NC State University. 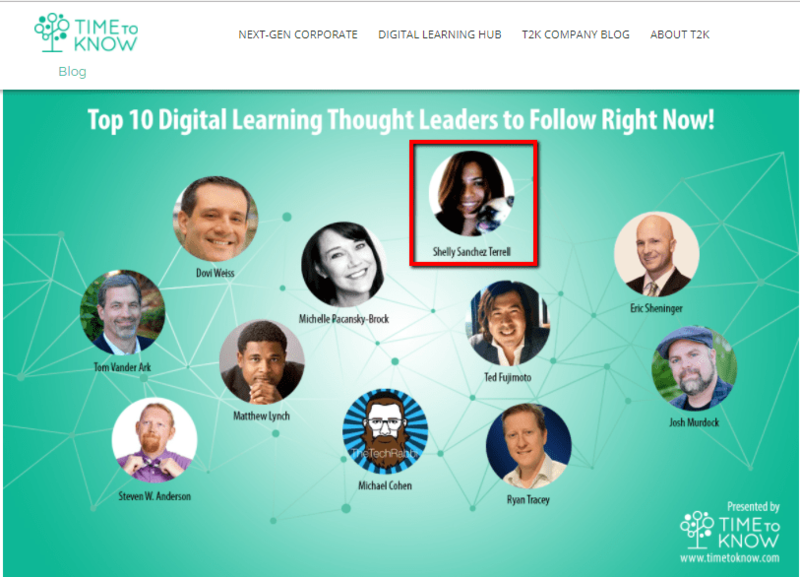 She has spent the past 6 years learning with and engaging educators in schools and districts across North Carolina who are integrating digital learning into their schools and classrooms. Prior to joining the team at FI, Brittany taught 9th, 11th and 12th grade English and a Young Adult Literature elective in a digitally-enabled classroom at a high school in Wake County, North Carolina. Follow Brittany Miller on Twitter. On the Classroom 2.0 LIVE! site (http://live.classroom20.com) you’ll find the recordings and Livebinder from our recent “News Media” session with Tiffany Whitehead. Click on the Archives and Resources tab. We we will set up a stream for you to watch and listen to. We might be able to troubleshoot for some of you and talk you in through communication in the stream and in the text chat. Report to us if you are unable to connect. We can help. Teaching news literacy is more necessary and challenging than ever in a world where news is delivered at a constant pace from a broad range of sources. Since social media and filter bubbles can make it challenging to access unbiased, factual information, we must equip students to be critical as they access news sources for a variety of purposes. This lecture-style session will give an overview of the phenomenon of fake news going viral and tools educators can use to help students develop news literacy skills. On the Classroom 2.0 LIVE! site (http://live.classroom20.com) you’ll find the recordings and Livebinder from our recent “Snapping for Learning: #Booksnaps and #Gratitudesnaps”session with Tara Martin. Click on the Archives and Resources tab. 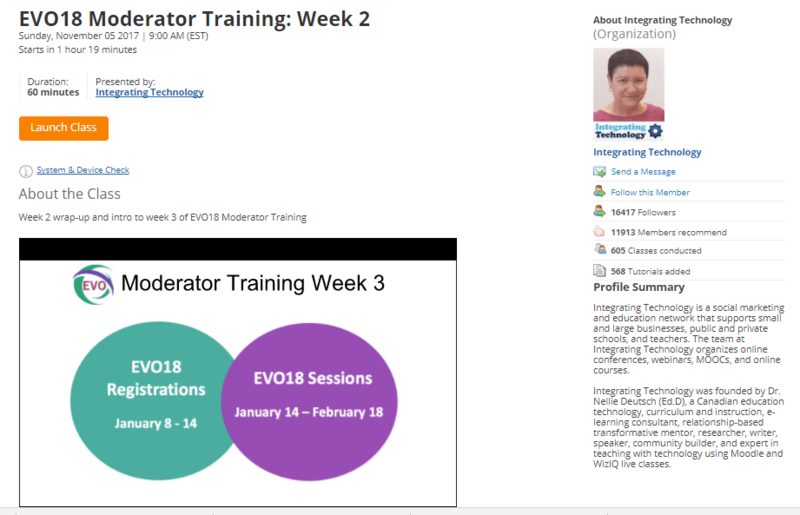 On Sunday Nov 5 at the usual time of 1400 UTC Learning2gether streamed, or attempted to stream, the 2nd live event in EVO2018 Moderator Training. The event itself was in WizIQ, meant to be hosted by Nellie Deutsch, who, because Nellie was called away, was replaced at the last minute by Nives Torresi. We we will set up a live stream for you to watch and listen. Apologies about the stream. There are many balls to juggle with encoding your stream. With Bb Collaborate, I am able to enter the room beforehand and test through using a live setup that I am getting both system sound and mic sound out the other end well before the event starts. With practice you learn that this is what you have to do, but testing reminds you, when you don’t get what you expect, that if it’s not working, oh yeah, I need my mic input at this end. With WizIQ I could not get a live stream at the beginning. There is an option to test system sound, but when I clicked on that, the system took me to WizIQ, had me log on, and in the end, with time ticking away, I was not able to find any means of testing my system sound. If I could have got a sound check I would have seen that my mic was not working, but as it was I could only test that I could select the correct window to stream, and I played system sound as part of the test. So when the WizIQ started at the exact time it was scheduled to go live, there was no more time for testing, and it turned out I had not configured my mic sound for the stream. Too late at that point. Here’s what came out the other end, https://youtu.be/cxULW0SPPxE. 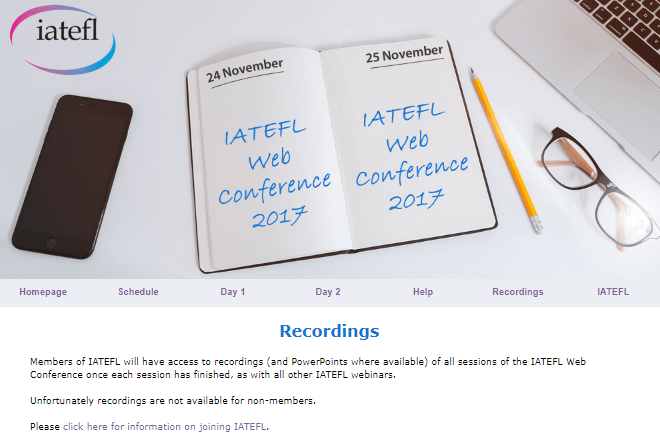 The link to the recording and the PDF of the speakers will only be sent to registered participants and both the recording and the PDF presentation will be deleted after 2 weeks. The links here may no longer play back after Nov 16, 2017. “Snapping for Learning: #Booksnaps and #Gratitudesnaps” with Tara M MartinMany educators are aware of Snapchat as an app that their teenage children or students are using enthusiastically, but most have expressed concerns about its use. If you are someone who has expressed those concerns you won’t want to miss this inspiring, informative presentation by our special guest, Tara M Martin, who has transformed the use of Snapchat into an incredible tool for learning and reflection with her creation of #Booksnaps and #GratitudeSnaps. #BookSnaps help students to connect and draw meaning from the text they are reading, and #GratitudeSnaps help connect with the positive that is in their lives in a meaningful way. Even educators are using these concepts to collaborate in meaningful ways in their own professional learning. Join us as Tara shares her stories and experiences with #Booksnaps and #Gratitudesnaps and learn how you can implement these ideas in your own classrooms whether you use Snapchat or other options such as Google Drawings.Tara M Martin (@TaraMartinEDU) is an enthusiastic educator who thrives on change and refuses to settle for the status quo. She graduated from Kansas State University with a Master of Science in Educational Leadership, has taught in the classroom several years, served as an instructional coach for four years in two different districts and now works as an innovative Curriculum Coordinator for Auburn-Washburn Public Schools. As a district administrator, she supervises instructional coaches, facilitates district-level professional development concerning curriculum implementation and provides job-embedded training opportunities. Tara’s mission is to invigorate teachers, administrators, and staff members to apply instructional practices that foster creativity, personalize learning and increase student engagement with the use of technology. While working alongside staff members of seven elementary schools, Tara believes individualizing adult learning and meeting her colleagues where they are, will increase their ability to flourish and empower students to be the key drivers of their education.Tara is a passionate educator and connected leader who continually strives to grow professionally. She inspires her international professional learning network, as well as local colleagues, with her blog R.E.A.L. She is always seeking unique ways to make learning fun, relevant and meaningful. Tara’s ambition is to lead a culture of innovative change and to motivate others to become the best they can be, all while staying R.E.A.L. and yet never reaching a plateau.More information and session details are at http://live.classroom20.com. If you’re new to the Classroom 2.0 LIVE! show you might want to spend a few minutes viewing the screencast on the homepage to learn how we use Blackboard Collaborate, and navigate the site. Each show begins at 12pm EST (Time Zone Conversion) and may be accessed in Blackboard Collaborate directly using the following Classroom 2.0 LIVE! link at http://tinyurl.com/cr20live. All webinars are closed captioned. On the Classroom 2.0 LIVE! site (http://live.classroom20.com) you’ll find the recordings and Livebinder from our recent “Connecting the Dots: Learning with you PLN” session with Dr. Sarah Thomas. Click on the Archives and Resources tab.